Vernon Rozycki, Senior Consultant at business development consultancy, Result, presents a case study on how low-cost ‘parallel preparation’ solutions are helping airport screening checkpoints by improving performance and efficiency, reducing costs and improving profitability. There was a time when passengers arrived at checkpoints and just threw their cases into an x-ray machine before moving through an archway metal detector. However, with the growth in travel and the need to process passengers quickly and securely, checkpoint footprints have grown. The increased number of items passengers carry on-board has also presented a challenge to checkpoint efficiency. Airports are using much larger trays and in many cases this has led to the escalating use of automated tray return systems (ATRS), which have been introduced at many larger airports and particularly rolled out in the USA. 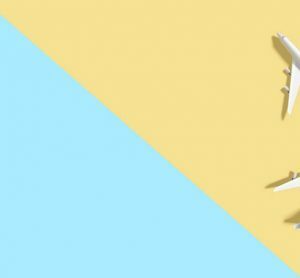 These systems are fairly costly, and whilst they are affordable to larger hubs, smaller airports may not be able to make a business case work for such systems. 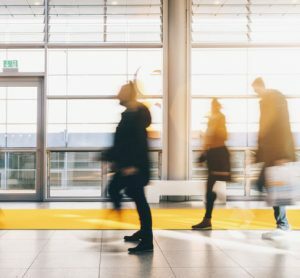 Airports (like many industries) are very technology-focused, and in the case of checkpoints they often turn to technology as a solution to ‘fix’ all ills. But there is a process/people solution which can provide great efficiency benefit and diligent security at a fraction of the cost, which is appealing to the smaller airports. The following case study shows how one smaller airport has benefited from a process/ people initiative. Different packing behaviour due to new tariff system of many airlines (airlines charging for hold baggage). New security regulations leading to more time consuming control processes. Installing new search lanes wasn’t really an option due to infrastructure constraints. To expand its options, Result was engaged to help improve efficiency including throughput and to provide another set of more efficient options. 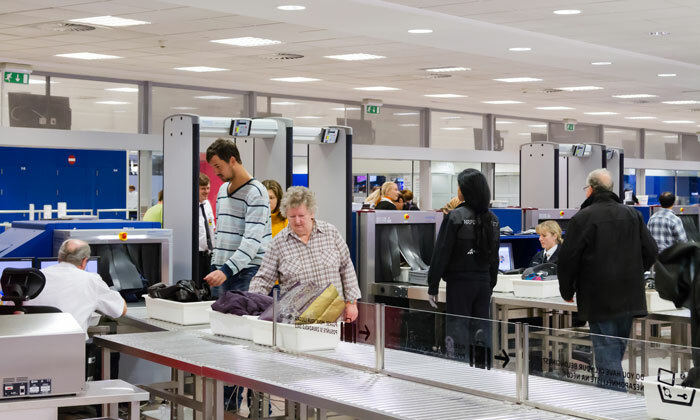 As mentioned above, many airports simply throw technology at the problem, and we have seen many airports introduce ATRS, matrix screening and other costly technologies to increase capacity. The approach here was different. Working in conjunction with the airport operator and local police, we looked at the process to identify where bottlenecks were. We then put solutions in place to address the bottlenecks in order to increase the throughput of passengers without compromising security or passenger experience. Most airports have an issue with passenger preparation at the checkpoint – it simply takes too long! Therefore the x-ray is often ‘starved’ of trays for up to 40% of the time; usually because of serial divestment (or preparation) by the passenger, rather than preparation being undertaken concurrently. At this airport we identified this very issue and subsequently introduced the ‘parallel preparation’ concept using the Rapid-Flo system. 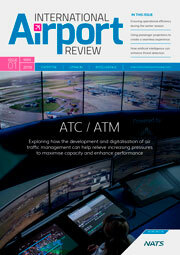 We also helped the airport develop new ways of working and relevant standard operating procedures. The staff had to adapt to a different way of working and a subsequent training and coaching regime was introduced in order to transform the behaviour of staff to work in the new ways. As throughput increased, the system bottleneck moved to the reclaim rollers (after x-ray). This created a new problem to solve. 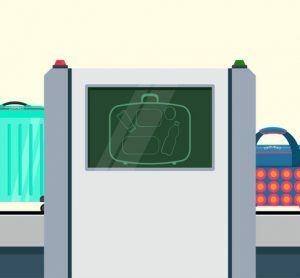 When the reclaim rollers become full, the x-ray stops processing cabin baggage, so the solution is to encourage passengers away from the reclaim rollers to repack and prepare themselves. The introduction of Rapid-Pak solutions enabled passengers to move away from the rollers and increased throughput further, but we again used training and coaching to modify staff behaviour and make the solution become business as usual. Where airports have long roller systems this isn’t so much of a problem but in this example, due to the short (6m roller system at reclaim) it was necessary to find an adequate solution that worked. A ‘process symmetry’ solution was adopted to make the solutions very instinctual for passengers. By using the same, or a very similar solution at divestment (or preparation) as is used at the reclaim point, passengers found it more intuitive as they are just reversing the process at reclaim. And by using the same furniture, we created the same look and feel for passengers and the ability to repack in comfort, without the feeling of being rushed. During the transition from serial processing to parallel processing of passengers we gathered a large amount of performance data from the checkpoint to prove that the parallel systems provided a tangible difference over existing ways of working. We also conducted passenger and staff surveys to understand how the serial and parallel processing methods affected perception of stakeholders. This feedback was key to making minor modifications and convincing senior managers that it is the correct solution. An improved planning and rostering of staff identified will lead to savings of circa $2-3 million per annum. VERNON ROZYCKI is a Senior Process Consultant with Result, and has a wide ranging experience in aviation logistics, operational readiness, project and programme management. 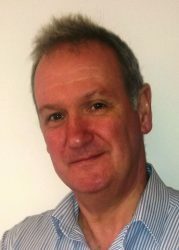 He has a history of achievement gained delivering change management and business transformation programmes that enhance the financial and operational performance of large organisations via the implementation of lean methodologies, continuous improvement techniques and stakeholder engagement. He is a Green Belt in Lean Six Sigma and has a PRINCE2 and APM in Project Management. The airport terminals of the future will have to be passenger centric in the sense that every passenger is VIP, every passenger is know and all known passengers are welcome. Passengers shall feel that he is wanted at the airport. This is already happening at airports but only for few selected one either due to Protocol, Business or VIP status. Airports will have to deploy technology that can made it happen and it is possible. Many authors have a vision for the future airport terminals where by the passengers will just pass through the airport without being touched his id will be his permission to move around and take the flight. I wish the author all the best. The airport terminals of the future will have to be passenger centric in the sense that every passenger is VIP, every passenger is know and all known passengers are welcome. Passengers shall feel that he is wanted at the airport. This is already happening at airports but only for few selected one either due to Protocol, Business or VIP status. 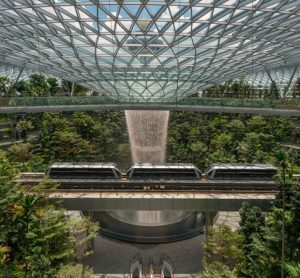 Airports will have to deploy technology that can made it happen and it is possible. Many authors have a vision for the future airport terminals where by the passengers will just pass through the airport without being touched his identity will be his permission to move around and take the flight. I wish the author all the best.